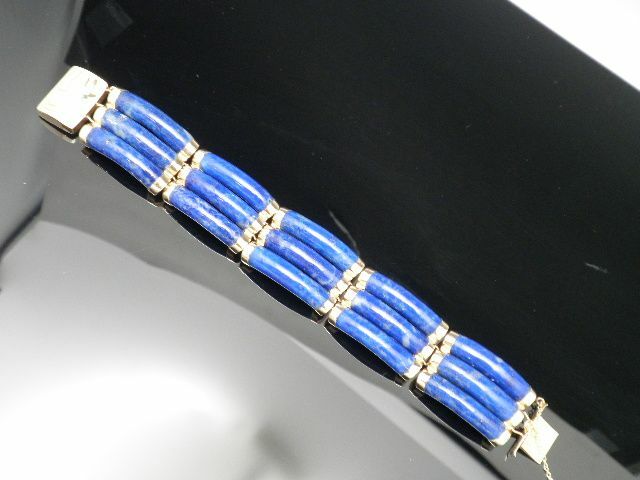 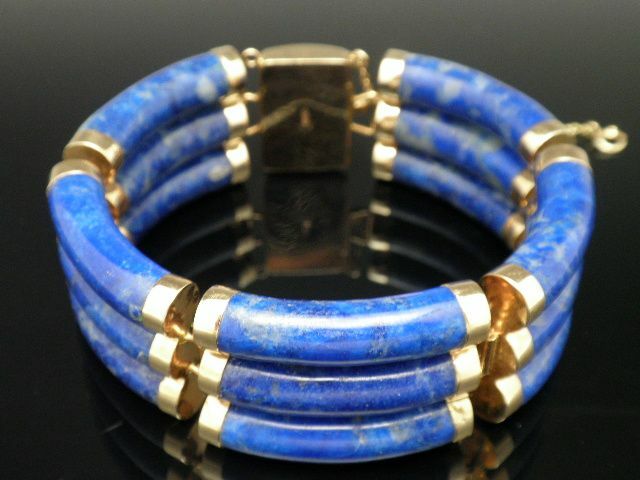 Beautiful blue lapis 14K gold bracelet. 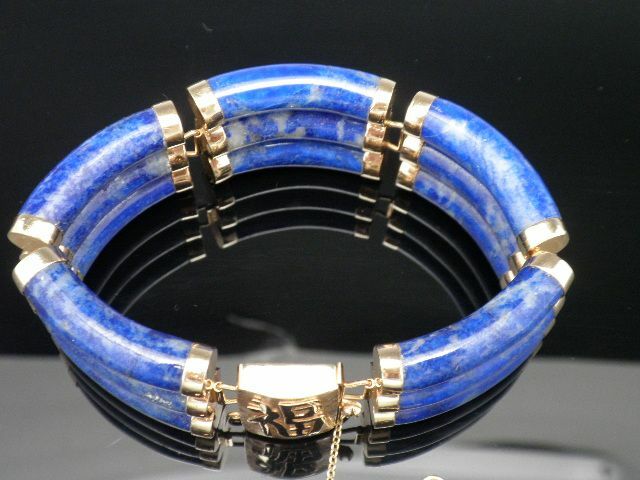 The bracelet measures 7" long by 1" wide. 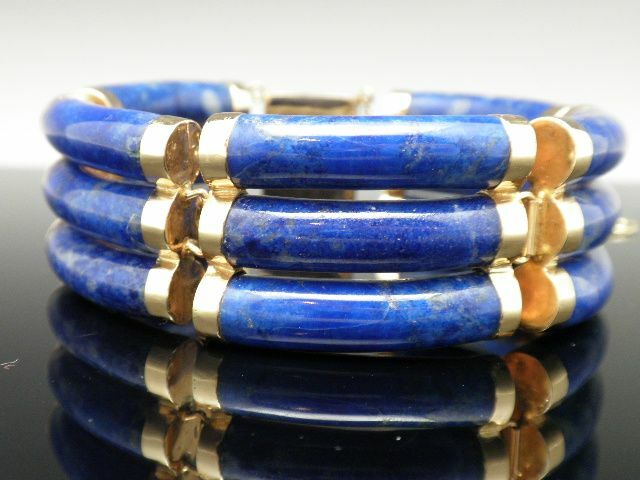 The piece is well made with matching carved lapis sections capped and gold hinged. 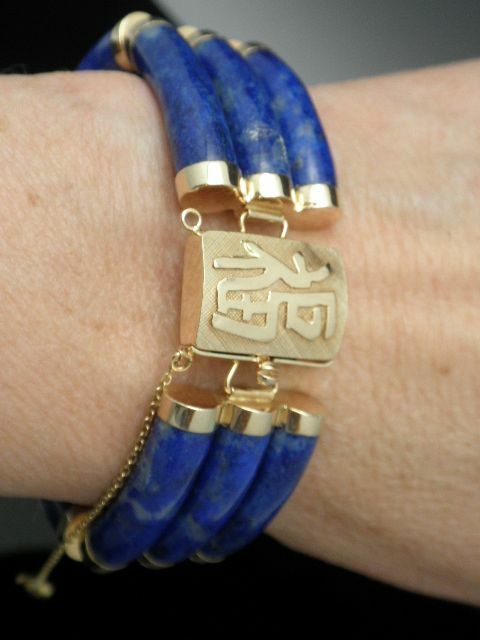 The bracelet fits well and is comfortable . 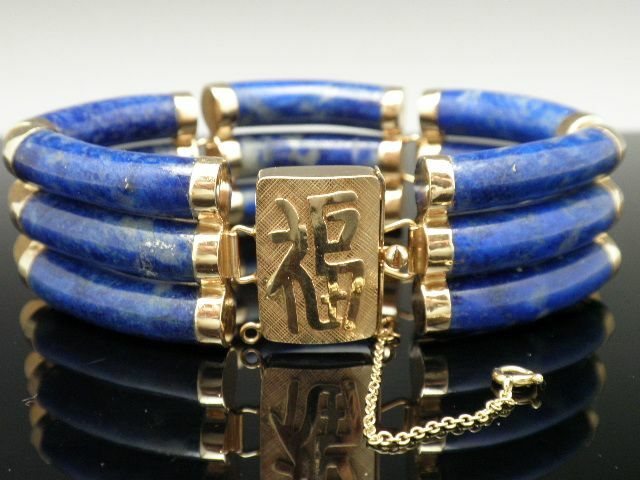 The Chinese clasp conceals the lock and has and added safety chain. 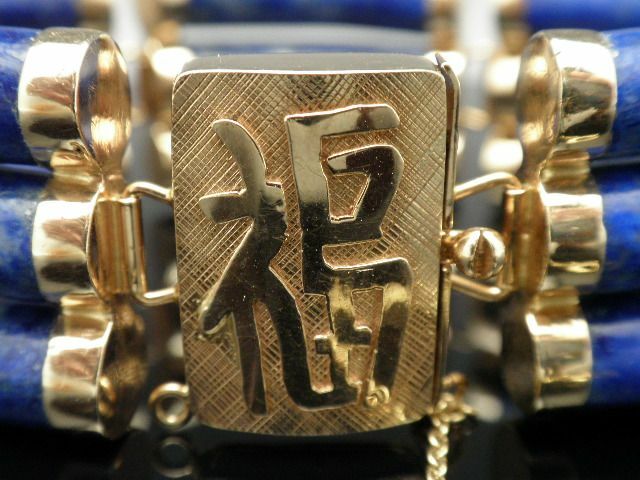 The piece is marked 14K.